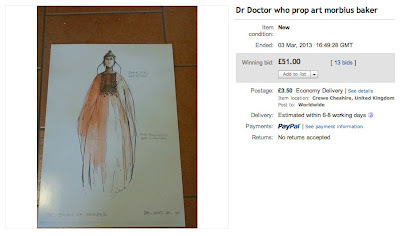 Not strictly a screen worn costume, this item popped up on eBay this month and I thought it worth sharing as it is beautifully drawn. 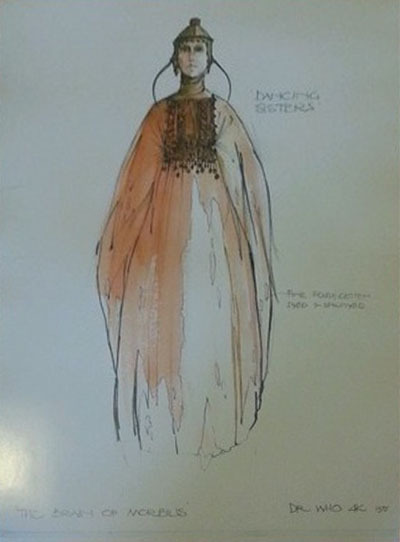 I was lucky enough to own the original of this sisterhood costume sketch for many years. Before I sold it I had 2 copies made. One for me, and one for a friend. Sadly the friend passed before I could give it him. Hence now after holding onto to it a few years I feel the time is right to let another collector enjoy it. It is printed on top quality glossy paper. You will not be disappointed. The original would cost a lot of money now, so for the true fan this is a cheaper version. I only have one when its gone its gone. The size is 42cm lengh by 30cm width. Also this isn’t some cheap photocopy done by myself. It was done at a local art supplies shop on their professional equipment on super thick glossey paper.